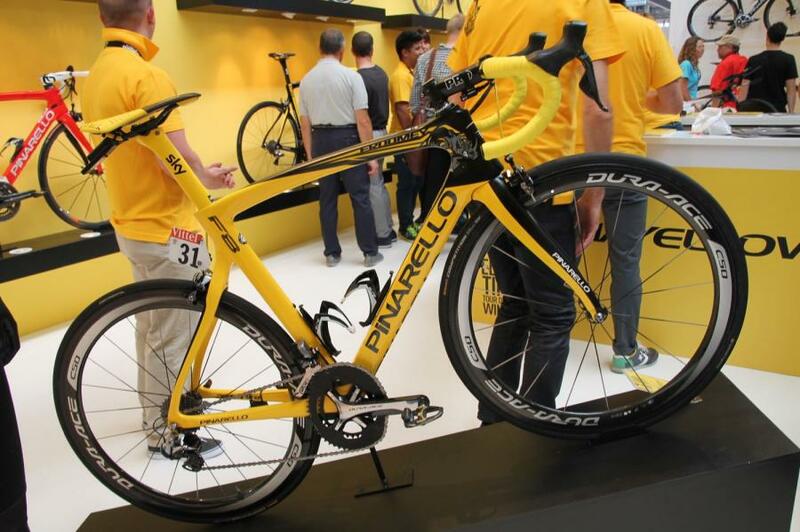 Chris Froome’s Tour de France winning Pinarello Dogma F8, was on display at this week’s Eurobike. The yellow emblazoned bike took center stage at Pinarello’s massive display, complete with pedals, computer mount and all. To celebrate the British rider’s feat and his Kenyan roots, the frame was custom painted, featuring a rhino graphic along the side of the head tube and top tube. In addition, the graphics were spurred on by Froome’s support for Unite for Wildlife, a charity that was set up to put an end to illegal wildlife trade.